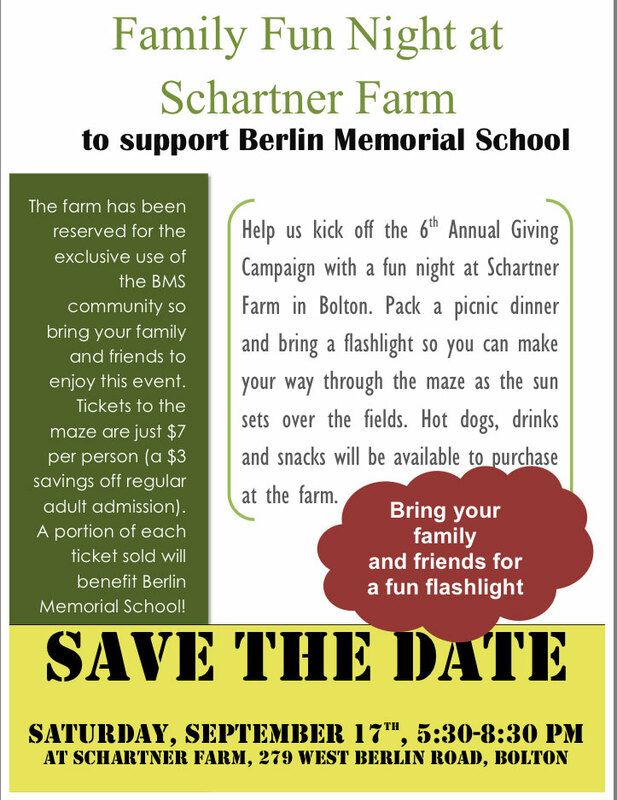 Family Fun Night at Schartner Farm – LINK, inc.
Help us kick off the 6th Annual Giving Campaign with a fun night at Schartner Farm in Bolton. Pack a picnic dinner and bring a flashlight so you can make your way through the maze as the sun sets over the fields. Hot dogs, drinks and snacks will be available to purchase at the farm. The farm has been reserved for the exclusive use of the BMS community so bring your family and friends to enjoy this event. Tickets to the maze are just $7 per person (a $3 savings off regular adult admission). 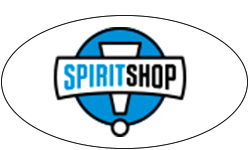 A portion of each ticket sold will benefit Berlin Memorial School.